For parents with children thinking about going to college it's difficult to not be a helicopter parent and hover over your child while they select a college major. It could be one of the most important, and costly, decisions of their lives, and can lead to a better paying and more rewarding job than without a college degree. Figures from the Bureau of Labor Statistics show that education pays -- with median weekly earnings of $1,025 in 2009 for someone with a bachelor's degree, $1,257 for a master's degree, and only $626 for someone with just a high school diploma. The earnings are better for college graduates, but getting there is more difficult if students choose their careers in college rather than before enrolling, said Barbara Cooke, author of 'Parent's Guide to College and Careers,' in an phone interview with AOL Jobs. Except for those who choose professional majors such as accounting, education, nursing, or pre-med, most people don't find their career focus while in college, Cooke writes in her book. It can happen later, by hit or miss, as people begin their careers, or earlier by getting training in college, she said. 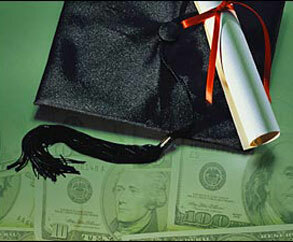 -- How much could your college degree earn you? It depends on your school. Early training is crucial, Cooke said. Liberal arts majors, for example, should have part-time jobs in customer service or office work to gain experience to help them get a job when they graduate, she said. Cooke, who graduated with a bachelor's degree in English in 1973 and earned a master's in counseling in 1984, points out that the economy has changed from 30 to 40 years ago, when anyone could graduate from college with any major and expect to land a good job. "In the 1970s, going to college without a clear goal or understanding of the job market was an acceptable career-planning strategy," she writes in the book. "No matter what degree you earned or what you majored in, you could have graduated from college and eventually found a college-level job. Your main fear would have been getting 'trapped' in a job you didn't like until you retired at age 65."